PLEASE,invitations or self promotion in your comments, THEY WILL BE DELETED. My photos are FREE for anyone to use, just give me credit and it would be nice if you let me know, thanks - NONE OF MY PICTURES ARE HDR. 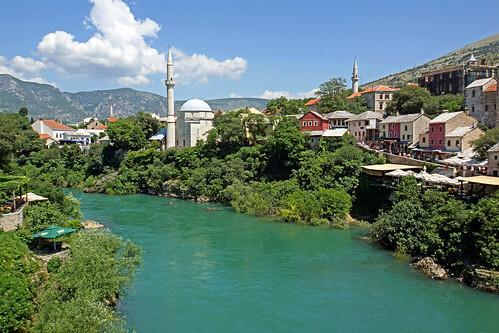 Color of Neretva River is breath taking and stunning. 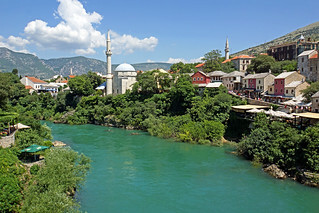 The river has a very distinct colour as it passes throughout most of Herzegovina. We were heading for the mosque beside the river and these were taken from the Old Bridge.